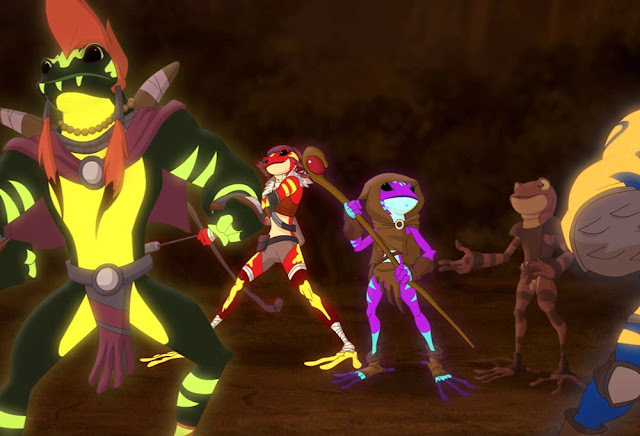 She's Fantastic: Kulipari - STRAWBERRY BULLFROG RANGER! Kulipari - STRAWBERRY BULLFROG RANGER! There aren't nearly enough anthropomorphic toys in my opinion. Sure there have been extremely cool toylines like ThunderCats, Biker Mice from Mars, and Teenage Mutant Ninja Turtles that gave us some cool product. But female anthropomorphic action figures are still a rarity despite the genre's popularity. 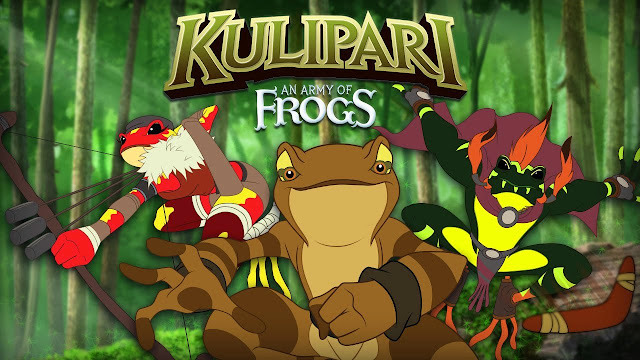 Earlier this year I was perusing Netflix and discovered this Netflix Original cartoon called Kulipari: An Army of Frogs. The cartoon has a pretty self-explanatory title, and while I enjoyed the character design and concept of the series, I am just not in the target demographic and didn't love the actual show. However, I was intrigued enough to look into any toys based on the property. Surprisingly there was a set of small 2.5-3" figures released by Mattel in 2015 (they may have been exclusive to Amazon). The specific frogs themselves are unrelated to the cartoon, but I just couldn't resist adding a pink frog girl to my collection. I'm going to seek out more amphibious characters now. Let's check her out below! 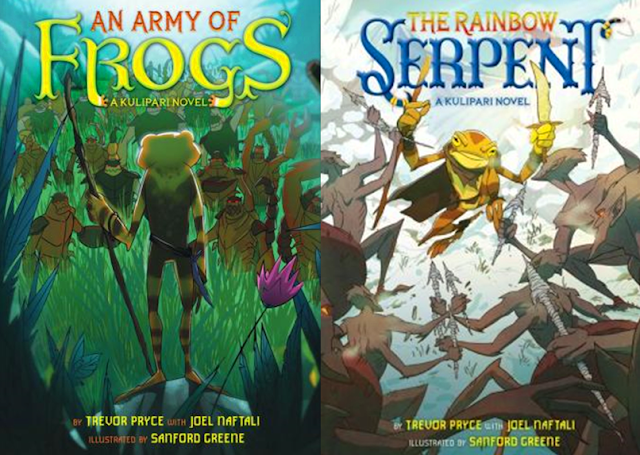 The Kulipari Netflix show is based of a series of Books and comics, which in turn inspired a mobile game, the latter of which inspired these figures. The game now seems inactive and unplayable, but I thought this Strawberry Bullfrog Ranger was cool that I had to try downloading it. The figures are unarticulated but have a few removable parts. Here is the solicitation image of all the figures together including the scorpion enemies. Note that the Strawberry bullfrog here has a bow and arrow. All the figures I've seen have had a slingshot. Here are some images from the cartoon, books, and comics. Here she is with the Tree Frog and the Bullfrog Battalion.